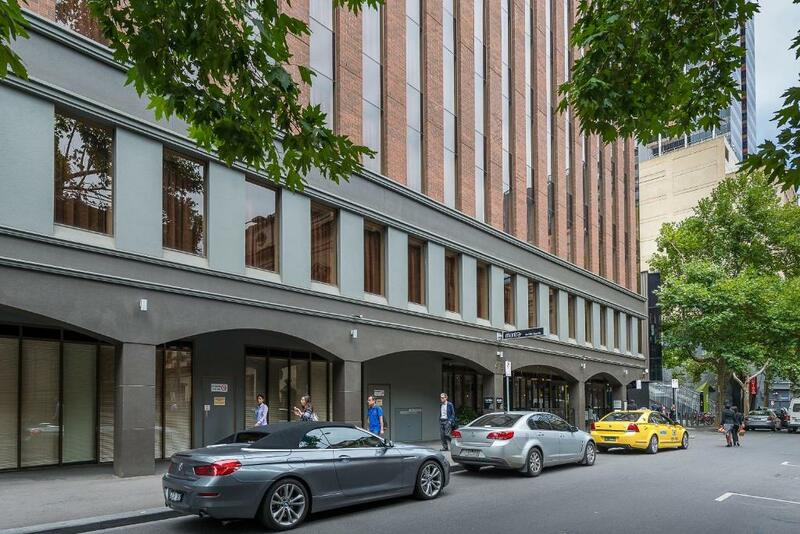 Location was great if you want to stay in the CBD. Very clean. Comfortable bed, spacious room, excellent location. I absolutely love this hotel. It exceeds all expectations. I would thoroughly recommend to everyone I know. I can't fault this hotel. The staff are great. Spacious apartment for family and convenient to amenities, i.e. supermarket, shopping, trams, train station, etc. Great location, spacious room with well equipped kitchen, good bathroom, very helpful staff. I rented a motorcycle to ride around the city and the hotel let me park it right next to the entrance, where it was protected from the elements, which I highly appreciated. There are taxis waiting at the entrance most of the day which is very convenient. All the mantra team were lovely and helpful. The restaurant was a wonderful surprise. The food was delicious. The buffet breakfast was really good. The location very central and trams were within walking distance etc. The suite was very quiet, clean and had plenty of room. Friendliest and most helpful staff I have encountered. 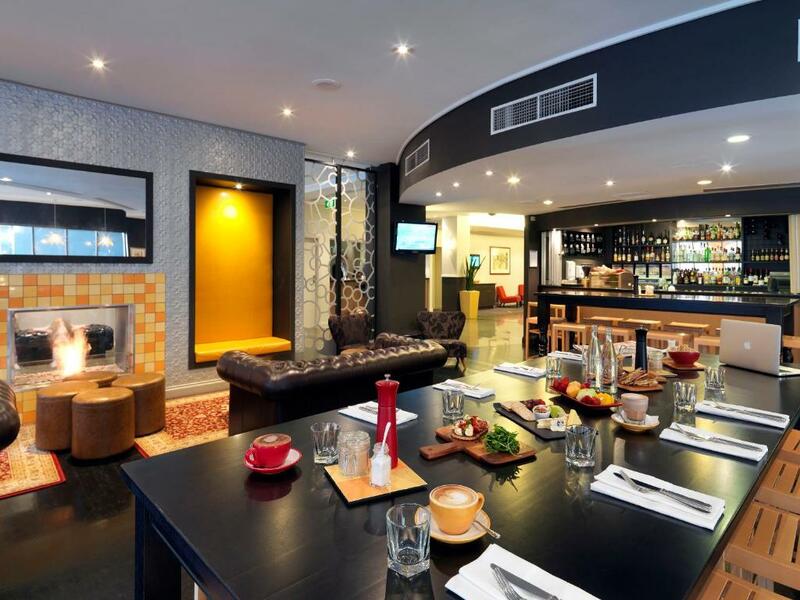 Lock in a great price for Mantra on Little Bourke – rated 8.9 by recent guests! Mantra on Little Bourke This rating is a reflection of how the property compares to the industry standard when it comes to price, facilities and services available. It's based on a self-evaluation by the property. Use this rating to help choose your stay! 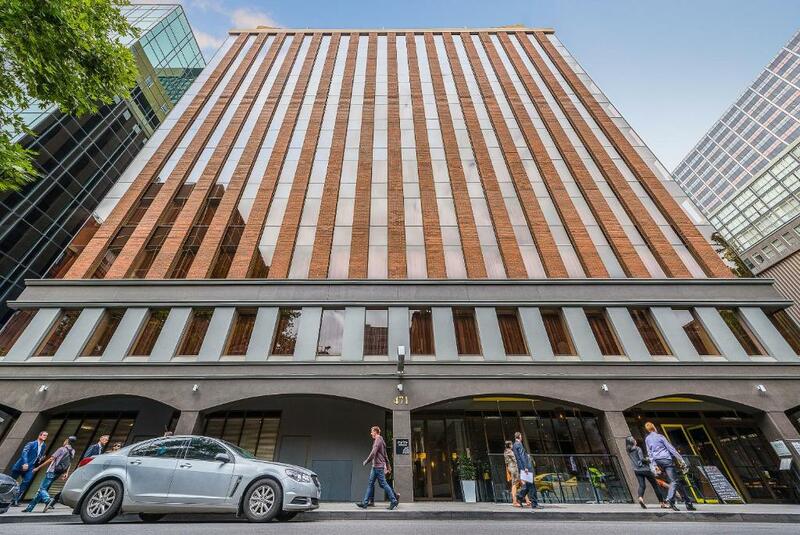 One of our top picks in Melbourne.Mantra on Little Bourke offers suites and apartments conveniently located in Melbourne’s CBD (central business district). Each has a spacious living area with an LCD TV and a kitchenette with a microwave and a refrigerator. 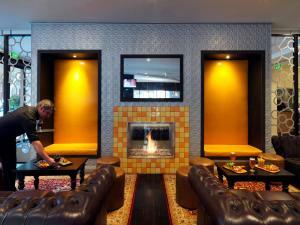 Centrally located, guests can enjoy a walk to Federation Square, Melbourne Museum and Melbourne Art Gallery. The Mantra offers 24-hour reception and room service as well as providing laundry services, concierge and secure underground parking. Alibi Kitchen & Bar, located downstairs of the hotel offers a buffet breakfast, casual lunch and dinner options, and features a comfortable lounge area with a fireplace. 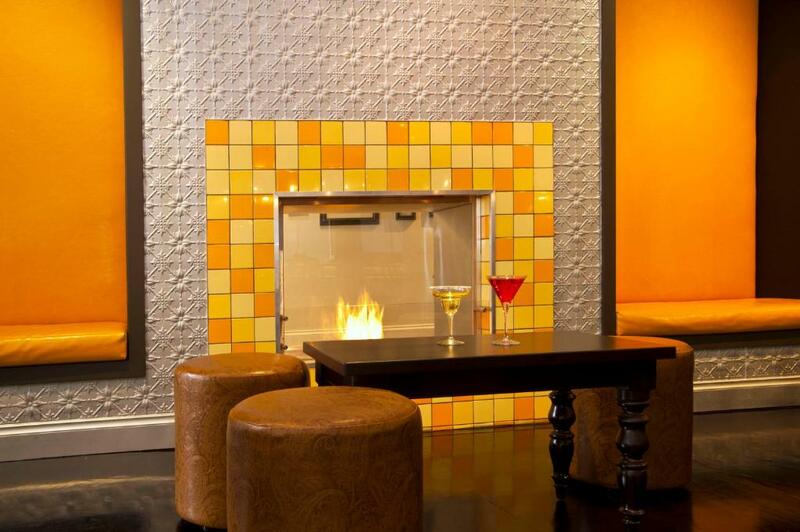 The bar offers light snacks and a wide range of beers and wines. 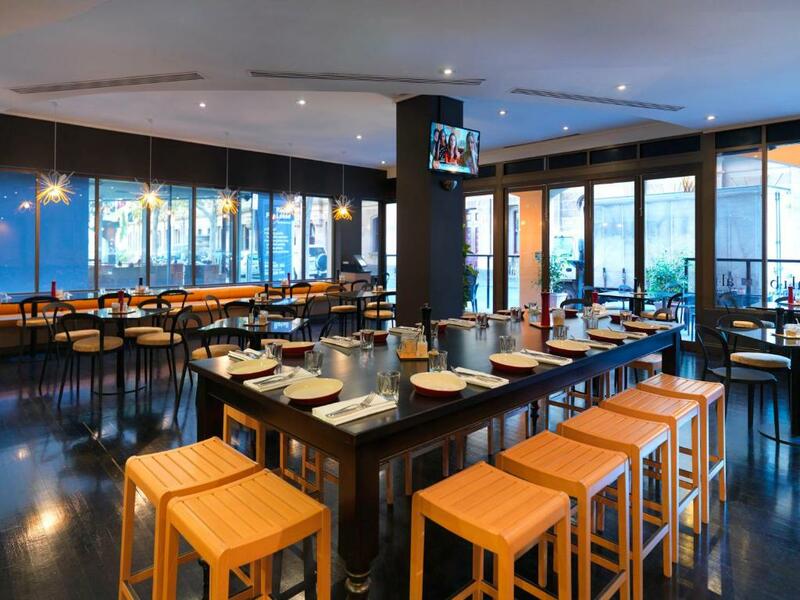 Mantra on Little Bourke is just a 5-minute walk from Etihad Stadium. The famous Collins St which offers a range of shopping opportunities is just 1,000 feet away. 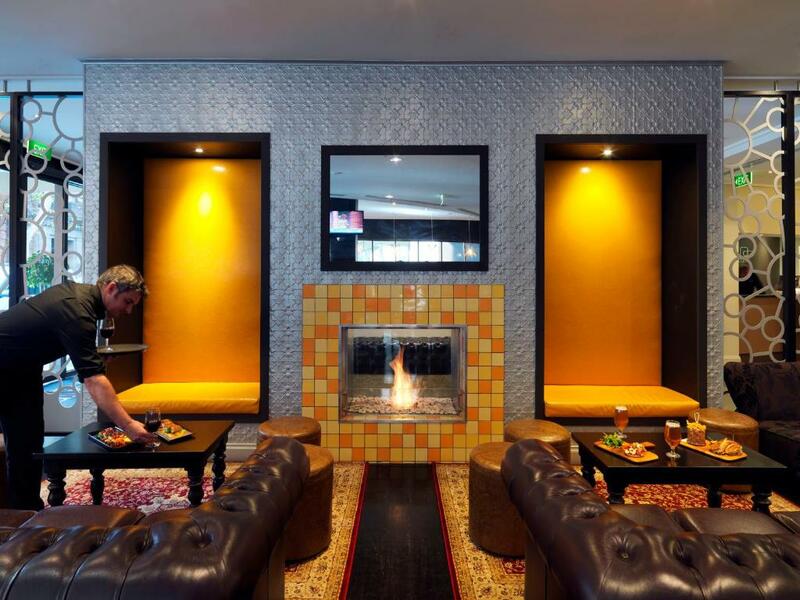 When would you like to stay at Mantra on Little Bourke? This suite is air-conditioned and features a kitchenette with stove top, lounge area with satellite TV and direct dial telephone. The private bathroom includes a hairdryer and free toiletries. This open-plan suite is air-conditioned and features a kitchenette with a stovetop, a lounge area with satellite TV and a direct dial telephone. The private bathroom includes a hairdryer and free toiletries. A sofa bed is available at an additional cost. This open-plan suite is air-conditioned and features a kitchenette with stove-top, lounge area with satellite TV and direct dial telephone. The private bathroom includes a hairdryer and free toiletries. This spacious suite is air-conditioned and features a kitchen with stove-top, lounge area with satellite TV and direct dial telephone. The private bathroom includes a hairdryer and free toiletries. This spacious two-bedroom apartment features a kitchen with stove-top, pantry and refrigerator. 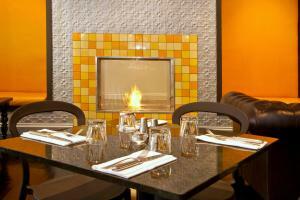 It has an open-plan dining and lounge area with satellite TV, sound system and direct dial telephone. The private bathroom includes a hairdryer and free toiletries. This air-conditioned suite features a full kitchen, a pantry and an open-plan dining and lounge area with satellite TV and a sound system. The private bathroom includes a walk-in shower and separate bathtub. This studio features a mini-bar, electric kettle and dining area. This apartment has a seating area, mini-bar and microwave. House Rules Mantra on Little Bourke takes special requests – add in the next step! Mantra on Little Bourke accepts these cards and reserves the right to temporarily hold an amount prior to arrival. Please note that this property requires a credit card pre-authorization or 500 cash deposit upon check in to cover any incidental charges. Please note that car parking is limited and subject to availability. Guests planning to arrive by car are welcome to contact the property for more information using the contact details on the booking confirmation. A valet parking service is available for AUD 39 per night. Please park your vehicle directly in front of the hotel and proceed to reception to organize. Reservations are not required for this service. location good, fairly quiet although you are next to a building site which won't be forever. Bar fridge was noisy and cluttered with mini bar items I didn’t want. It was disappointing that an apartment with cooking facilities only had a coffee table to eat at. After day 4, no more coffee pods? Foxtel channel selection was limited. 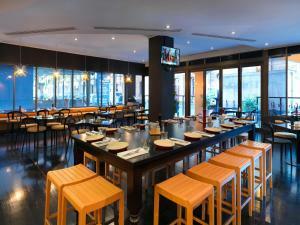 Good location close to Southern Cross station. Staff were helpful and the complimentary apples each morning was a nice touch. Location was great for our needs. The restaurant was very convenient for a quick bite to eat. The central air conditioning was far too hot. We were on the first floor, the road work outside was horrendous, we had been there less than a hour, I expected to be moved, I didn’t request it but was disappointed it was not offered. The street noise of the Saturday night drunks did not add to the our nights rest extremely poor, those rooms should be double glazed. The map I got from reception of Melbourne could be in a prominent spot in the room. Those brown curtains at the windows really need to be updated. I loved the big comfortable bed, and the toiletries you guys got the best smelling toiletries. your staff were all very friendly and very helpful. next time. am in Melbourne it will be mantra little burke street for me. People smoking to close to the entry of hotel. Restaurant menu was not really appealing Add a small table in the room would have made us feel better. Location was amazing, walking distance to most amenities. tram ride was just a block away as well. Rooms are clean and sufficient room space. Bathroom was dated and shower head was old and wouldn’t stay up. Loved location, apartment was amazing! Will be coming back!! There was even a washer/dryer for our clothes! It is also right next to the #1 coffee place in Melbourne!! !